When you go camping, it’s worthwhile to bring your dog along with you. Many campers are hesitant to do so, as it can involve some extra considerations that you need to keep in mind. These, however, aren’t all that difficult to maintain, with the benefits far outweighing the drawbacks. 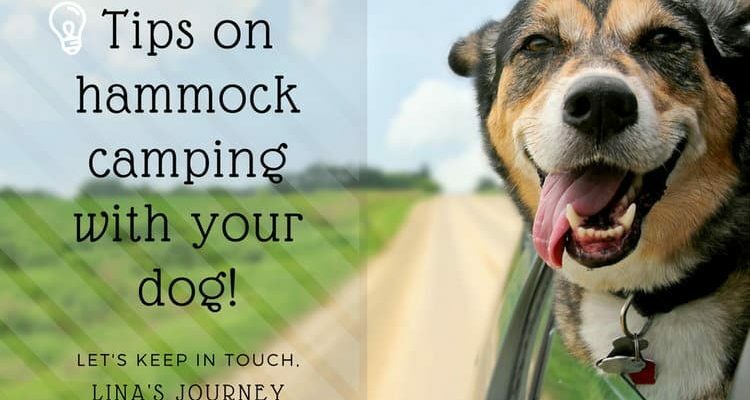 First and foremost, you won’t have to worry about kennel fees or finding someone to watch your pet while you’re away when you’re hammock camping with a dog. On top of that, your dog will have a wonderful time in the great outdoors, strengthening the bond you share. It will also allow them to get a lot of useful exercise and have a ton of fun while they’re at it. 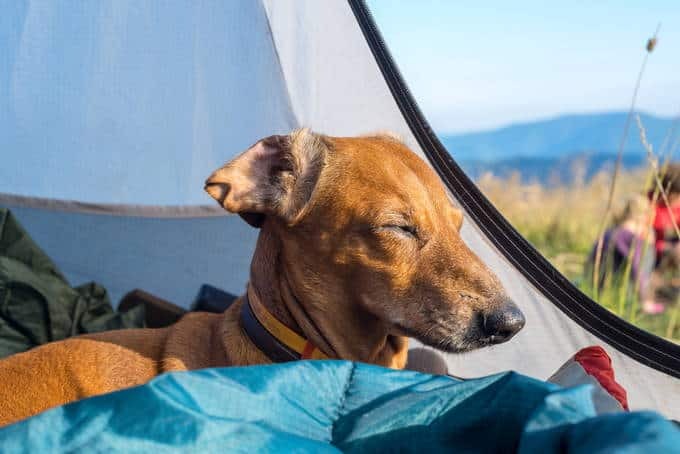 Spending time with your pooch really doesn’t get any better than taking them camping with you, but there are some considerations to keep in your mind before you begin. Hammock Camping With Dog ! This is one of the most important considerations you need to keep in mind ahead of time. You will need to bring different sets of gear depending on your choice, which also comes down to what’s comfortable for your dog. Some are small enough to get into a hammock with you with absolutely no worries, but just don’t like the feel of it, preferring to sleep on the ground. If your dog is happy in a hammock and is small enough to fit alongside you, there’s not much you need to worry about, other than keeping their nails properly trimmed to avoid ripping or tearing your hammock’s fabric. Furthermore, purchasing a larger hammock that is able to fit both of you may also be worth looking into for the sake of comfort. Other dogs, those are too big to fit in your hammock or who simply don’t like the idea of being in one, can sleep on the ground with no problems at all. This involves a little more planning as you will want a dog pad for them to sleep on as well as extra gear to keep them warm, like a canine jacket. These can be purchased or built in a DIY fashion, with many campers opting to use a combination of tarps to create a makeshift tent for their dogs. Ensuring that the door flaps are closed and the tarp’s sides reach all the way to the ground is important because it will protect your pooch from the elements and wild animals that might wander through your campsite. 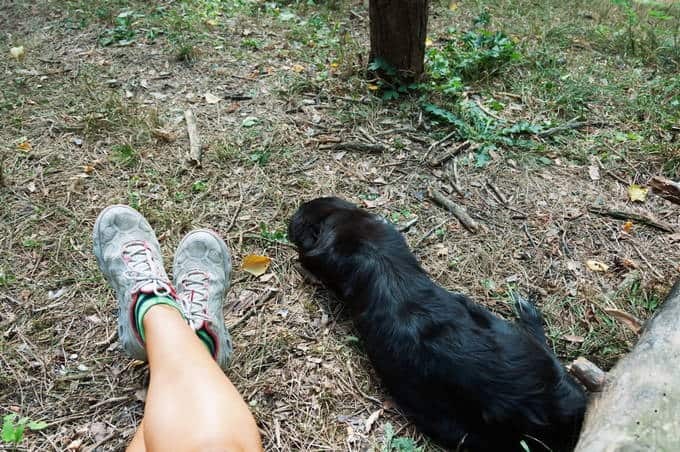 Before you head out into the wilderness, it’s worth working out what style of camping your dog prefers and then undertake a few practice runs, either in your backyard or somewhere relatively close to your home. This way you can tweak your setup and allow your dog to get used to their new environment and conditions. It will also help you practice setting up tarps or pads and help you work out all the kinks in a relatively safe environment before heading out for the real deal. Some dogs just don’t like camping and this is the best way to find out for sure without jumping right into a proper camping setting. If things go wrong in the woods you can potentially be far from help and you don’t want to suddenly realize that you forgot to bring an important piece of kit or that you overlooked something that can cause further problems in the long run. As we mentioned before, a dog’s nails can wreak havoc on your hammock or other materials used to keep your pet snug at night. This will cause serious issues for obvious reasons. 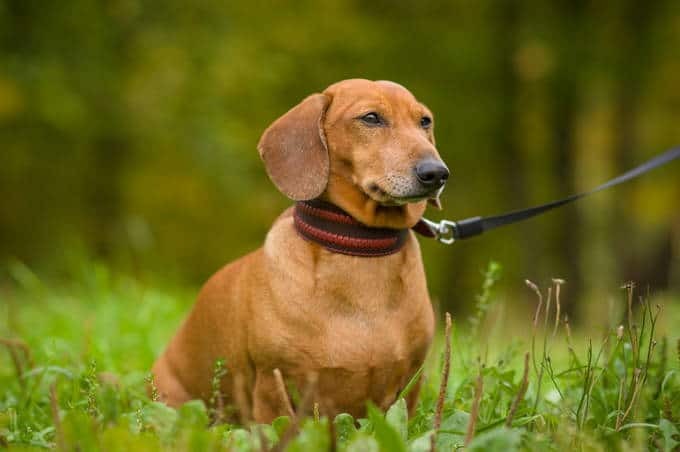 With this in mind, we always recommend you clip your dog’s nails before heading out on the trail, ensuring that they are filed down and have no sharp edges. 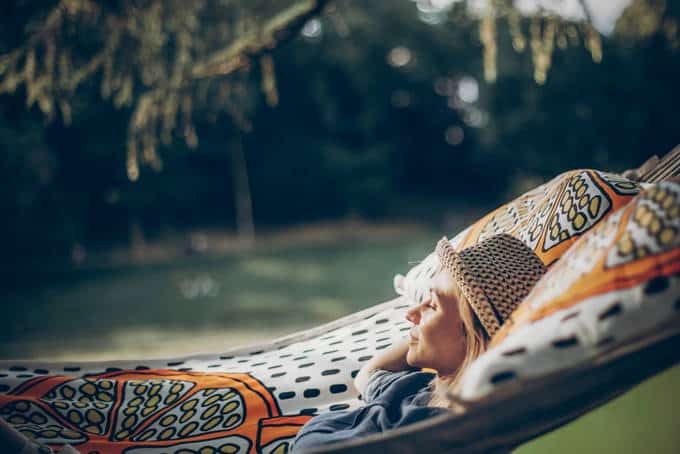 A dog pad is a solid piece of kit and one that will undoubtedly come in handy if your dog doesn’t like hanging in a hammock. It will protect them from pests and insects along the ground, as well as keeping them both warm and dry, should conditions take a turn for the worst. There are many dog pads available, but making one yourself is fairly quick and easy if you want to save a little money. The canine jacket is another must-have, especially in cold weather. Your dog’s fur coat keeps them more insulated than you are, but will fall short if the temperature dips too low or your dog isn’t a breed that’s suited to cold weather. The canine jacket will also protect them from pests, such as ticks, and offers extra storage space in the form of pockets. On top of winter weather, you can also run into problems in warm weather if your dog accidentally overheats. There are specialized cooling jackets built for this purpose. They allow for greater airflow and help your dog stay cool if the sun gets too hot. Another useful item to consider is a dog pack, which straps around your pet’s chest and allows them to help you carry your gear. These packs shouldn’t be used to store exceptionally heavy gear, but will free up some space for you in your pack. 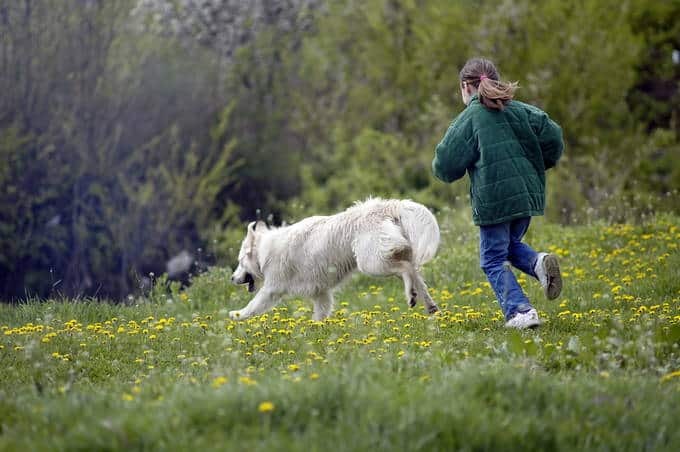 It is also worth keeping in mind that your dog’s pack should be properly balanced to avoid one side being too heavy or making movement difficult. One last consideration to keep in mind is a leash. The one you’ll use at your campsite is a little different from the one you should use during the day, with a campsite leash usually being longer to afford them more room to run off excess energy. We recommend a leash of paracord or other rope that is at least 15 feet long, not exceeding more than 25-30 feet. This keeps your dog within the confines of your campsite while also stopping them from wandering off too far at night. Some campers will tie a leash to a tree, but others have found that tying it to the ridgeline of your hammock will alert you if your pet becomes overly agitated throughout the night for whatever reason. That being said, larger dogs could make it hard to sleep if you tie their leash directly to your hammock. At the end of the day, bringing your dog on your next camping trip can be a beneficial experience for both of you. It can also, however, end up being a nightmare if you’re not properly prepared for all possibilities. 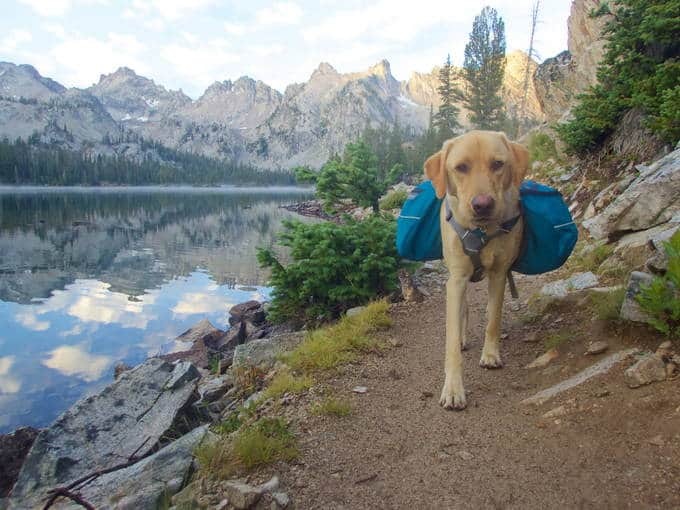 If you find that your dog enjoys camping as much as you do, taking them with you will form a closer bond and also save you money on kennel fees in the long run. If you keep these considerations in mind before you go camping you will have a much better experience and be more prepared for anything that the trail throws your way. As always, please don’t hesitate to reach out to us and leave a comment with any questions you may have. We look forward to hearing from you!